MOSCOW – Russia’s LaitBank could issue approximately 10,000 China UnionPay cards next week, online newspaper Gazeta.ru reported Friday, citing an anonymous source at the bank. A small private bank, Laitbank entered talks with UnionPay in 2012 and finally obtained the shipment of plastic cards from China on Thursday. The bank’s representative also said they are to receive another 50,000 cards over the next two months. The newspaper claims a number of top Russian banks, including Alfa Bank, Gazprombank and Bank of Moscow are preparing to start issuing UnionPay cards as well. Sberbank, on the other hand, reportedly plans to focus on developing its own “Pro100” payment system. Additionally, a Russian subsidiary of China Construction Bank is preparing to issue 600,000 UnionPay cards in September, according to the online newspaper. None of the institutions mentioned has confirmed that they will be providing UnionPay bank cards. Earlier, Vostochny Express and MDM banks also declared plans to issue UnionPay cards. 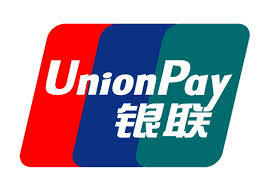 UnionPay is one of the world’s leading bank card associations, dominating markets in the United Arab Emirates, Thailand and Turkey. In July, Fen Zhiguang, a China UnionPay representative in Russia said the company plans to increase the number of UnionPay debit and credit cards to two million over the next three years. The representative also mentioned that the company has acquired around 30 new partner banks in Russia.